The NSW Government is seeking community views on a new marine park proposal, which includes 25 sites between Newcastle and Wollongong. Premier Gladys Berejiklian said sites have been carefully analysed by the NSW Marine Estate Management Authority and the community will still have another chance to have its say. “NSW’s beautiful marine environment is iconic and the envy of the world. We want to keep it that way so that future generations can continue to enjoy it,” Ms Berejiklian said. Special Purpose Zones would seek to address a specific threat or allow a certain activity such as recreational fishing on an artificial reef. The NSW Government has also today unveiled $45.7 million for the first stage of a 10-year Marine Estate Management Strategy. The investment will help to address some of the biggest threats to our marine environment, including pollution and litter. Minister for Primary Industries Niall Blair said our coastal environments are famous for good fishing, diving, swimming and whale watching but we can’t afford to take them for granted. “This strategy is the first of its kind; it will streamline how we manage our 1,750 km of coastline, 826 beaches and 185 estuaries in NSW,” Mr Blair said. A series of community information sessions will be held throughout the Hawkesbury Shelf marine bioregion during the consultation period. Staff will be on hand to provide more information and answer questions on the marine park. There will also be opportunity to make a submission at these sessions using the online survey. The events schedule can be found here. As the majority of events will be held outdoors, alternate venues may be required so please do check the schedule prior to each session. a new marine park proposal for the bioregion. The Strategy focuses on addressing priority and cumulative threats that operate throughout the NSW marine estate, as identified and assessed in the statewide Threat and Risk Assessment (TARA). Background information about phases 1 and 2 of the assessment is available here. The aim of the proposed new marine park is to reduce risks at a local scale from some site-based threats, while helping to conserve marine biodiversity. It is designed to complement the initiatives and management actions of the Strategy, while allowing for a wide range of recreational and commercial activities to still occur. It includes a network of 25 distinct sites (834 KB), rather than a single large marine park. Three zone types - sanctuary zones, conservation zones and special purpose zones are proposed across the 25 sites. Lion Island is located in Broken Bay. A special purpose zone is proposed covering a 45 hectare area within 200 metres of the Island (Figure 9). Lion Island was dedicated as a fauna reserve in 1956 and reclassified as a nature reserve under the National Parks and Wildlife Act 1974. No specific spatial management arrangements are in place other than existing regulations that generally apply to activities in the marine estate, such as NSW fishing rules and restrictions. • reduce risks to identified threatened and protected species of the bioregion. The secondary objectives that apply to this site are listed in Table 5. The waters surrounding Lion Island are important for the little penguin (Eudyptula minor), which is listed as a threatened species under the Biodiversity Conservation Act 2016. The area has significance to the local Aboriginal communities. Spiritual sites and evidence of past cultural use, including shell middens, have been recorded. The threats that will be addressed at this site and expected benefits to be enhanced are listed in Table 19. Vessel speed restrictions (8 knots) are proposed in all waters within 200 metres of Lion Island to reduce the chance of vessel strike to little penguins. Hand gathering and collecting marine vegetation would be prohibited (Table 20). Lion Island was identified as having conservation value during community engagement. The National Parks Association of NSW (Southern Sydney Branch) described this site as having high biodiversity value. 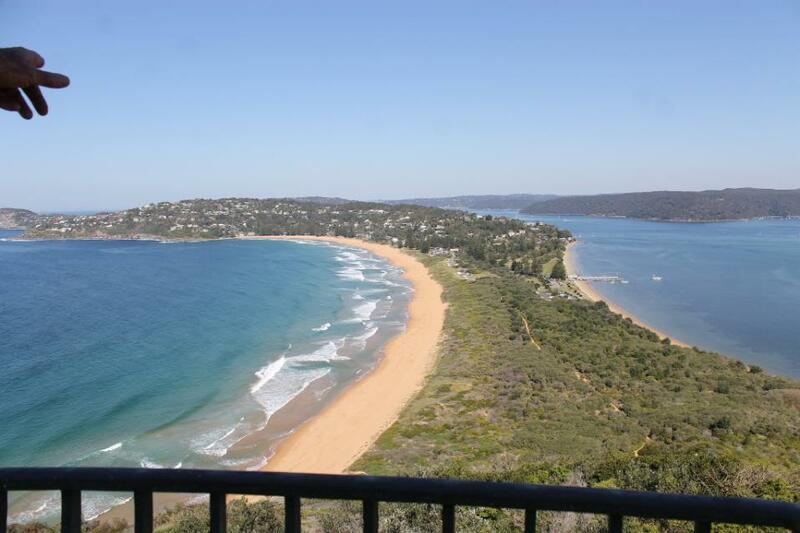 Barrenjoey Head is located at the northern end of the Palm Beach isthmus. The iconic Headland is part of a national park, has an historic lighthouse and is the southern head of Broken Bay, at the entrance to Pittwater. The proposed special purpose zone would extend the current Barrenjoey Head Aquatic Reserve (Figure 10) to cover a total area of 133 hectares and include the adjacent seagrass, including the endangered population of Posidonia australis (Figure 11). The existing Barrenjoey Head Aquatic Reserve was established in March 2002. The reserve covers 28 hectares, extending around the headland and including the area between the mean high water mark and out to 100 metres offshore from the mean low water mark. Collecting cunjevoi, invertebrates and marine vegetation is prohibited, with the exception of rock lobsters, abalone, sea lettuce and bait weed. Recreational fishing competitions and collecting for scientific and educational purposes require a permit. A fishing closure under the Fisheries Management Act 1994 prohibits netting by recreational and commercial fishers from Barrenjoey Head to Stokes Point; the aim is to limit the potential spread of marine algae, Caulerpa taxifolia. • establish and maintain public infrastructure to support access and use of the bioregion, for example moorings, boat ramps. The existing aquatic reserve contains a variety of habitats. The combination of estuarine and oceanic influences supports the wide variety of marine life found here. The northern facing shoreline contains a relatively steep intertidal area dominated by large boulders, and a narrow strip of subtidal reef dominated by turf algae and some kelp. There are extensive seagrass beds located adjacent to the western side of the isthmus, including a large area of an endangered population of seagrass, Posidonia australis, which is listed under the Fisheries Management Act 1994. Significant damage to seagrass from anchoring, propellers, and swing moorings is evident from aerial imagery (Figure 11). Barrenjoey Headland and its surrounding waters are frequented by many user groups. Passive recreation (walking, swimming, kayaking, paddle boarding) is popular here. Boats frequently shelter in the Pittwater side of the headland. Surfing is popular on the ocean side at the northern end of Palm Beach. Barrenjoey Headland is also used by recreational line fishers and spearfishers. The area has significance to the local Aboriginal communities. Spiritual sites and evidence of past cultural use, such as shell middens, have been recorded in the Aboriginal Heritage Information Management System. Some Ocean Trap and Line commercial fishing takes place in the area. The threats that will be addressed at this site and expected benefits to be enhanced are listed in Table 21. Fishing rules that apply to the existing aquatic reserve would be adopted in the proposed special purpose zone (Table 22). Boating and moorings at the site would be reviewed and restrictions developed with boating stakeholders to reduce damage to seagrass from propellers and moorings. Anchoring in seagrass would not be permitted. Aboriginal cultural use and recreational activities, such as swimming, snorkelling and scuba diving, would continue to be permitted. The conservation value of Barrenjoey Head was identified by community members and peak conservation stakeholders – the National Parks Association of NSW and Nature Conservation Council of NSW. Concerns regarding the establishment of a no take area at this site were raised by recreational fishers and spearfishers as it is reported to be a safe area to spearfish and fish from small vessels. The site is located at North Narrabeen Headland on Sydney’s northern beaches. It is proposed to establish a special purpose zone to replace the existing aquatic reserve. No changes to management rules are proposed. Narrabeen Head Aquatic Reserve was established in March 2002. It covers seven hectares and extends from the southern end of Turimetta Beach, to the western extremity of the rock baths at Narrabeen Head, covering the area from the mean high water mark to a distance of 100 metres offshore of the mean low water mark. Collection of cunjevoi, marine invertebrates and seaweed is prohibited in the reserve, with the exception of lobster, abalone, sea lettuce and bait weed. Recreational fishing competitions and collecting for scientific and educational purposes require a permit. • promote stewardship of the marine estate. The site primarily consists of rocky shore, shallow rocky reef, beach and shallow soft sediments. It contains a diverse array of marine algae, invertebrates and fishes. Birds such as oystercatchers, cormorants, sea gulls and sea eagles also forage in the area. The reserve is currently used for a wide variety of recreational activities, including snorkelling, scuba diving, swimming, sunbathing, picnics, recreational boating, line and spear fishing, walking and dog walking. The site is located adjacent to the North Narrabeen National Surfing Reserve. The threats that will be addressed at this site and expected benefits to be enhanced are listed in Table 23. The proposed seven hectare special purpose zone (Figure 13) would maintain the existing boundaries and current fishing rules, with continued access to the reserve as an educational area and for Aboriginal cultural use. The assessment found that there were limited opportunities for further threat reduction at the site as it has limited subtidal environmental assets. There is also little opportunity for further enhancing social and cultural benefits. The high environmental value of Narrabeen Head was identified by peak conservation stakeholders – the National Parks Association of NSW and the Nature Conservation Council of NSW. Long Reef is a prominent beach, headland and rock platform on Sydney’s northern beaches, between Collaroy and Dee Why. The proposed special purpose zone would expand the existing Long Reef Aquatic Reserve to include the adjacent subtidal reef. It is proposed to establish this zone as a site managed for sustainable recreational fishing. The existing Long Reef Aquatic Reserve (Figure 14) was established in 1980 and is the oldest aquatic reserve in NSW. It covers 77 hectares, extending from Collaroy Rock Baths to Long Reef Surf Lifesaving Club and seaward from the mean high water mark to a distance of 100 metres offshore of the mean low water mark. Collecting, destroying or interfering with cunjevoi, invertebrates and marine vegetation is prohibited. Finfish may be taken by spear or line. Collecting for scientific and educational purposes require a permit. f habitats in the bioregion. The reefs include caves and overhangs and deep gutters. species utilise habitats at this site and adjacent areas, including black rockcod (Epinephelus daemelii), weedy seadragon (Phyllopteryx taeniolatus), greynurse shark, and many species of seabirds and local and migratory wader birds. Long Reef Headland is popular with many user groups for recreation (walking, swimming, kayaking, paddle boarding) and boating. It is recognised as one of the most iconic fishing locations in the region. Commercial fishers regularly fish in the waters offshore from Long Reef. The Long Reef rock platform is a focal point for marine education and stewardship programs, with school excursions and community groups regularly visiting the reserve to learn about marine life. The threats that will be addressed at this site and expected benefits to be enhanced are listed in Table 25. A 514 hectare special purpose zone is proposed at Long Reef. This would incorporate the current aquatic reserve and extend the current rules of the reserve, which permit line or spearfishing for finfish (fish with a backbone) only, and prohibit the collection of all marine invertebrates and plants whether dead or alive except for Aboriginal cultural use. Other management methods that address the threats caused by recreational fishing are to be trialled at this site in consultation with recreational fishers. Examples include catch-and-release fishing, gear-based restrictions, and specific bag and size limits. More information about the trial is described below. local, community-based campaign resulted in many submissions in support of a no-take area at Long Reef. Many submissions also raised concerns about a potential no-take area at this site, describing it as one of the safer rock platforms to fish from in NSW. Long Reef is reported to provide easy access for elderly fishers and has the only open ocean boat ramp on the northern beaches of Sydney. The Recreational Fishing Alliance, as well as a number of other submissions, listed Long Reef as a site of great importance for spearfishers, especially in adverse weather. Several submissions also raised concerns about possible negative impacts on kayak based fishing at Long Reef. seasonal restrictions to reduce impacts on certain species when they are known to be more readily accessible in an area of the bioregion. Long Reef on Sydney’s northern beaches has been chosen as a site to trial these alternative approaches. The trial will involve additional engagement with recreational fishers to determine the methods to be trialled and ways to monitor their effectiveness over time as part of the Marine Integrated Monitoring Program (MIM Program). Subject to the research outcomes, consideration will be given to expanding the measures to other sites. The proposed Cabbage Tree Bay site is south of Manly Beach. It is dominated by rocky shores and subtidal reefs. Shelly Beach, at the eastern end of Cabbage Tree Bay, is a key feature of the area. The proposed site extends the current Cabbage Tree Bay Aquatic Reserve (Figure 16) to Blue Fish Point. The protected area would include a 52 hectare sanctuary zone that extends the current reserve from Shelly Beach Headland to 250 metres north-west of Blue Fish Point (Figure 17) and a seven hectare special purpose zone at Blue Fish Point. interfering with all forms of marine life, whether dead or alive, is prohibited. Shelly Beach Headland Intertidal Protected Area (IPA) adjoins the aquatic reserve and protects a small intertidal area by way of a regulation under the Fisheries Management Act 1994. Cabbage Tree Bay is a very popular area for a wide variety of user groups, including scuba divers, swimmers, snorkellers and surfers. The existing aquatic reserve removed some previous sources of conflict – such as conflict between spearfishers and swimmers. There is Zostera and Halophila spp. seagrass in the bay, primarily along the southern side, although this is currently unmapped. Anchoring in this area is currently not permitted, although this is not well publicised, and vessels may be unaware they are anchoring in a seagrass area. Boating activity in the bay is significant during peak-use times, and user conflict between vessels and swimmers is not uncommon despite the small boating closure around Shelly Beach. The Bay provides safe haven for boats during strong southerly weather. rocky reef that vary in exposure, with those on the eastern side of the headland most exposed. A number of threatened and protected species are known to frequent the area, including blue groper, green turtles, black rockcod and weedy seadragon. Cabbage Tree Bay is part of the traditional lands of the Guringai (or Ku-ring-gai) people, and it is part of the Manly-Freshwater National Surfing Reserve. It is an area that has been regularly used for scientific research on rocky reef habitats. Blue Fish Point is popular for recreational shore and boat-based fishing and for scuba diving. The location is considered hazardous in some swell conditions, and rock fishing fatalities have been reported here. The proposal to extend the current reserve to 250 metres north-west of Blue Fish Point would prohibit all extractive activities in this zone except for Aboriginal cultural use (Table 28). This zone would also replace the existing Shelly Beach Headland IPA, which would increase protection of marine life and reduce the complexity of regulations. Anchoring in seagrass habitat in Cabbage Tree Bay would also be restricted. Seagrass generally occurs at depths of eight metres or shallower, so anchoring inside much of Cabbage Tree Bay itself would be prohibited. Courtesy moorings (including environmentally friendly moorings) or a designated anchoring area could be considered to manage boating access and use. The proposed seven hectare special purpose zone at Blue Fish Point would prohibit hand gathering of marine invertebrates, except for lobster and abalone. about potential conflict between boats and passive water users were also raised. North Harbour includes the part of Sydney Harbour north of a line from North Head to Grotto Point. It includes Manly Cove, Spring Cove and all bays and beaches in this area. The proposed site extends the current North Harbour Aquatic Reserve (Figure 18) to include all of North Harbour (Figure 19). Three new zones would be created: a 325 hectare special purpose zone, and two sanctuary zones with a combined area of 51 hectares, one at Fairlight and the other at Spring Cove. The 257 hectare North Harbour Aquatic Reserve (Figure 18) was established in 1982 and spans the area between North Head and Dobroyd Head. All marine species other than finfish are protected in the reserve, which allows line fishing for finfish only. All other fishing and collection methods are prohibited. All of Sydney Harbour is closed to commercial fishing. Recreational fishing for shellfish is prohibited throughout Sydney Harbour. Netting, trapping, and spearfishing is prohibited in North Harbour. Sydney Harbour IPA also covers the coastline in North Harbour but not Manly Cove. West to reduce anchor damage to seagrass. and protected species are resident or are regularly observed in the area and include an endangered population of the seagrass Posidonia australis and little penguin. Dolphins and seals visit the area occasionally. middens, have been recorded in the Aboriginal Heritage Information Management System. Important shipwrecks are also located in North Harbour. The site is a focal point for boating (yachting, kayaking, power boats) and public and private on-water transport to Manly and other places. Scuba diving, snorkelling, swimming and on-water recreation are popular activities. The threats that will be addressed at this site and expected benefits to be enhanced are listed in Table 29. Recreational fishing and boating would be permitted in the special purpose zone, although existing restrictions on spearfishing and lobster fishing would continue (Table 30). Line fishing would no longer be restricted to finfish and would now include species such as squid. Other forms of hand gathering, including abalone fishing and collecting marine vegetation, would be prohibited. All forms of commercial fishing would be prohibited in this zone. Aboriginal cultural use and other low-risk activities such as scuba diving and snorkelling would be permitted in this zone. In the proposed Fairlight and Spring Cove sanctuary zones, the removal or harm of marine biodiversity and habitats would be prohibited, including fishing by any method, hand gathering and collecting marine vegetation except for Aboriginal cultural use (Table 30). Anchoring would be prohibited in seagrass areas to prevent damage to the endangered Posidonia australis seagrass, and courtesy moorings would remain in place. Little penguin critical habitat areas would be included in the Spring Cove Sanctuary Zone. The Recreational Fishing Alliance reported that North Harbour is a safe and easy to access recreational fishing spot for the young, elderly and disabled. Comments supported a no-take area in Sydney Harbour (including for a Sydney Marine Park). Other submissions (including from the Recreational Fishing Alliance and the Australian National Sportfishing Association) proposed that Sydney Harbour be declared a recreational fishing haven. Chowder Bay is on the north shore of Sydney Harbour, near Mosman. A 14 hectare site is proposed for Chowder Head and part of Chowder Bay (Figure 20). The shoreline of the proposed area is part of the Sydney Harbour IPA, which protects all marine invertebrates and cunjevoi. Chowder Bay is currently closed to spearfishing as part of a closure under the Fisheries Management Act 1994. • provide baseline monitoring areas (scientific reference sites). Chowder Bay has shallow reefs and is used for marine education. It is next to the Sydney Institute of Marine Science. The area is used for passive recreation such as swimming, kayaking, snorkelling and scuba diving as the water is generally clear and has some protection from westerly winds. The proposed reserve excludes the popular and easily accessible fishing wharf. The area has significance to the local Aboriginal communities. Spiritual sites and evidence of past cultural use, including art, have been recorded in the Aboriginal Heritage Information Management System. The threats that will be addressed at this site and expected benefits to be enhanced are listed in Table 31. A 13 hectare sanctuary zone is proposed for Chowder Head and part of Chowder Bay. In this zone, the removal or harm of marine biodiversity would be prohibited, including fishing by any method, anchoring in seagrass areas, harm to marine animals or plants, or collecting marine organisms whether dead or alive (Table 32). Permissible activities would include those that are minimal–low risk, such as swimming, snorkelling, scuba diving and Aboriginal cultural use. A 1 hectare special purpose zone is proposed for the area surrounding the jetty and swimming enclosure. In this zone, recreational line fishing would be permitted but spearfishing and hand gathering would be prohibited, in line with current management rules. The high environmental value of Chowder Bay was recognised by peak conservation stakeholders – the National Parks Association of NSW and Nature Conservation Council of NSW. The Sydney Institute of Marine Science states that this site is likely to be suitable for a baseline scientific monitoring site. Comments supported a no-take area in Sydney Harbour (including for a Sydney Marine Park). Other submissions (including from the Recreational Fishing Alliance) proposed that Sydney Harbour be declared a recreational fishing haven. Residents, businesses and community groups on the Northern Beaches are encouraged to have their say on ways to protect our marine environment, with Manly included in a proposed new marine park off the Newcastle-Sydney-Wollongong coast. Mr Griffin welcomed the opportunity for residents to have their say on the proposed marine park, which would include 25 sites from Newcastle to Wollongong aimed to enhance marine biodiversity, including at Cabbage Tree Bay and North Harbour. “These two sites in Manly have been carefully analysed by the NSW Marine Estate Management Authority following extensive community consultation, and now we want to hear whether they meet the community’s expectation,” Mr Griffin said. “On the Northern Beaches we are incredibly fortunate to have some iconic landscapes and marine environment, and I am committed to ensure this continues for years to come. • The proposed site extends the current Cabbage Tree Bay Aquatic Reserve to Blue Fish Point. • The protected area would include a 52 hectare sanctuary zone (increased from 18 hectares) that extends the current reserve from Shelly Beach Headland to 250 metres north-west of Blue Fish Point and a seven hectare special purpose zone at Blue Fish Point. • Anchoring in seagrass habitat in Cabbage Tree Bay would continue to be restricted. • The proposed seven hectare special purpose zone at Blue Fish Point would prohibit hand gathering of marine invertebrates, except for lobster and abalone. • The proposed site extends the current North Harbour Aquatic Reserve to include all of North Harbour. • Three new zones would be created: a 325 hectare special purpose zone, and two sanctuary zones with a combined area of 51 hectares, one at Fairlight and the other at Spring Cove (between Quarantine Beach, North Head, to Manly Point and east to Collins Beach). The NSW Government has today also unveiled details of $45.7 million of additional funding to deliver the first stage of a ten-year Marine Estate Management Strategy. Mr Griffin said Manly and the Northern Beaches would benefit from this historic investment in the NSW marine estate. “This strategy sets the platform for us to balance environmental conservation with economic growth so that our important eco-tourism industry can continue to thrive. “The nine initiatives will address the major threats to our estuaries, beaches and coastal waters, especially from pollution and marine litter. “The ten-year strategy also aims to deliver healthy coastal habitats and sustainable land use, plan for climate change, protect Aboriginal cultural values of the marine estate, reduce impacts on marine life, enhance social, cultural and economic benefits and deliver effective governance. Conservation groups have welcomed the NSW Government’s plan to create a marine park to protect the coast, beaches, headlands and marine life of the Sydney region. “Today’s announcement opens the way to giving Sydney’s iconic blue backyard the protection it deserves,” Australian Marine Conservation Society CEO Darren Kindleysides said. “This is a really good opportunity for our marine life and everyone who loves fishing, boating, diving and swimming. “Sydney is home to one of the planet’s greatest coastlines, with stunning marine life to match. Nature Conservation Council CEO Kate Smolski said: "The NSW Government deserves credit for listening to the scientific evidence and the overwhelming public support for a marine park for the Sydney region. Sydney Marine Park Campaigner Sharnie Connell said: “The science shows sanctuary zones in marine parks work because they increase the diversity, size, and abundance of marine life. “Science-based sanctuary protection for the Sydney region will also secure a healthy blue backyard for our boating, swimming, surfing and fishing lifestyle. “Our harbour, coastline and beaches are part of what makes the Sydney region so special but being on the doorstep of three major cities means that our seas are under pressure from coastal development, fishing, pollution, and climate change. “It is vital we give our coastal waters a chance to recover so they can continue to support the astonishing variety of marine life we have on our doorstep – from weedy sea dragons to fairy penguins and whales. “Over the coming weeks, we’ll be thoroughly reviewing the proposal to make sure all the important places receive the protection they deserve. “We urge the government to now swiftly move to create the marine park as our marine life has already waited years for this important opportunity. “Many members of parliament including Bruce Notley-Smith, James Griffin and Felicity Wilson have worked to champion today’s announcement. NSW marine parks are multiple-use and allow a range of activities including recreational fishing, commercial fishing, boating, diving, snorkeling and swimming across the region. The activities allowed are determined by zoning arrangements developed through community consultation. When the Marine Park for the Sydney region is fully established, NSW will have seven coastal and offshore marine parks. The others include Cape Byron, Solitary Islands, Port Stephens, Jervis Bay, Batemans and Lord Howe. The Sydney Marine Park campaign is a joint project of the Australian Marine Conservation Society and the Nature Conservation Council of NSW.